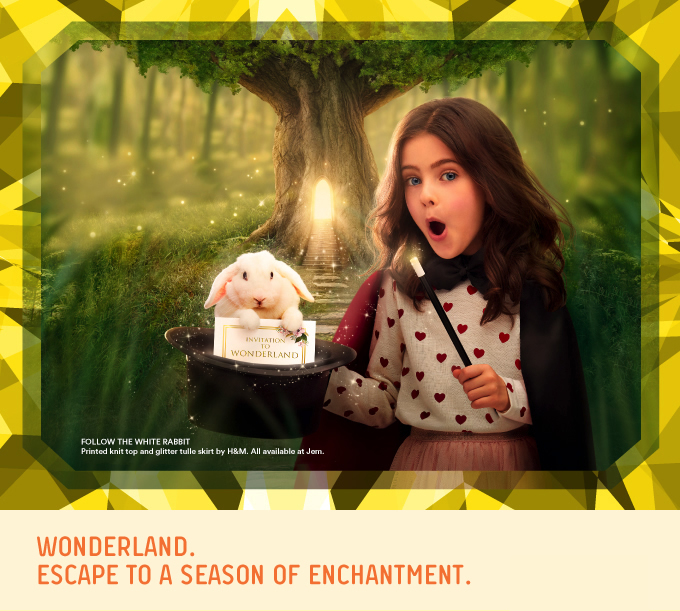 Escape To A Season Of Enchantment. 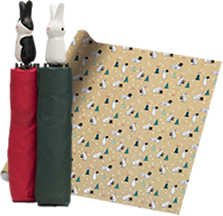 Spend $60* and receive 2 pieces of Christmas gift wrapper. Or conjure up envy with a Wonderland-inspired umbrella and 2 pieces of gift wrapper for $200* ($180* for Lendlease Plus members). Collect both designs! * Limited to first 200 redemptions per day. Getting rewarded should be as easy as abracadabra. Download the Lendlease Plus app today and sign up as a member with this promo code "WelcomeLLP" and magically get 8,000 bonus points^. ^Limited to first 9,000 sign-ups.Terms & Conditions apply. # Terms and conditions apply. While stocks last. # Promotion only for Cosy model shoes. Purchase a minimum $60 on the Mamonde Christmas collection and receive a Pure White Ultra Active kit worth $40. # Limited to the first 100 customers. # Check in-store for more details. Terms & conditions apply. # While stocks last. Terms and conditions apply. * Free gift while stock lasts. Complimentary Shiny Pretty sequin pouch with $120 nett spend. # Valid only for new patient. Limited to one redemption per customer. Not applicable for Eu Yan Sang Needleless Acupuncture. # Applicable on purchase of 3 boxes of LAC TAUT® COLLAGEN DRINK PLUS PLACENTA. Not valid with any other on-going promotions, VIP discounts (but Bonus$ will be awarded), discount cards and vouchers. While stocks last. # Valid from 1 Dec to 31 Dec 2018. While stocks last. Designs given may differ from image. Image for illustration purposes only. # Promotion inclusive of the bibimbap + 1 drink of choice (water / green tea / coke). - $20 off with nett purchase of $120 in a single receipt. - $40 off with nett purchase of $200 in a single receipt. Early Bird Discount - 20% off selected items. # Valid from now – 11 Dec 2018. # Valid with minimum spend $68++ (subtotal bill). Jem App member must produce the app at point of redemption. No splitting of table/bill allowed. Valid with one redemption per receipt per table. # Min spending of $30 before gst & taxes. Dine-in only. 1 promo per table. # Not valid with any Bento purchase. Only valid on 17 Nov to 25 Dec 2018. # Check in-store for participating brands. Retailer's Terms & Conditions Apply. Promotions valid from 16 Nov to 25 Dec 2018, and while stocks last, unless otherwise stated. Retailers' management reserve the rights to amend the promotion without prior notice. Not valid with other promotions, discounts, offers and vouchers. Please check in-store for more details.